Want to start your own childcare business? Well! You’re on the right move. It is the best time to enter the market as the industry is booming at a high pace. Like any other business, this business also requires a suitable and memorable name. It is a crucial part of any company as customers will know your business by this only. But where do the childcare business name ideas come from? In fact, there are various aspects from which you can draw ideas. You should considering those factors carefully while picking the name for your business. It must reflect the sole objectives of your brand. Since it’s the building block of the brand identity, try to win the trust of the parents in your business. “A name represents identity, a deep feeling, and holds the tremendous significance to its owner,” Rachel Ingber. This quote perfectly defines the importance of naming a business. A name can get you the fame. The number of parents seeking childcare services is increasing. This demand has been raised by a surge in the number of working mothers. Everyone is eyeing to tap this sector, so as you. 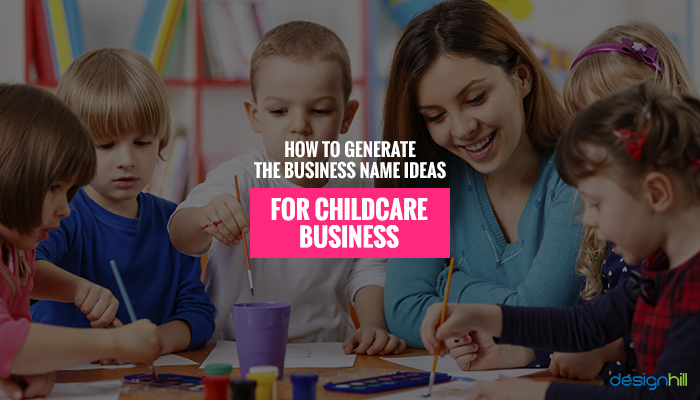 If you are starting a childcare business, you may be looking for a name that fits well with your business idea. Well, we also have come up with some innovative and untouched childcare business names. See if any name from the following list is just perfect for your company. The first step to creating a unique name is to think of the target audience. Identifying the right audience helps you create effective communication strategies. In simple words, you can attract them easily for the services they exactly need from childcare. Recognizing people who would be interested in your services has its own perks. First, you would be focusing on those who’re more likely to buy. Second, you would save your time, money and effort. Therefore, the name should resonate with parents as they’re your target audience. Although kids are the end-users, the parents are the decision-makers. In case people aren’t sure which childcare business to choose, it’s the name that may become a crucial deciding factor. For example, Caring For Kids, Mother’s Love, Small World Childcare, Kiddie Academy, and Happy Home Child. 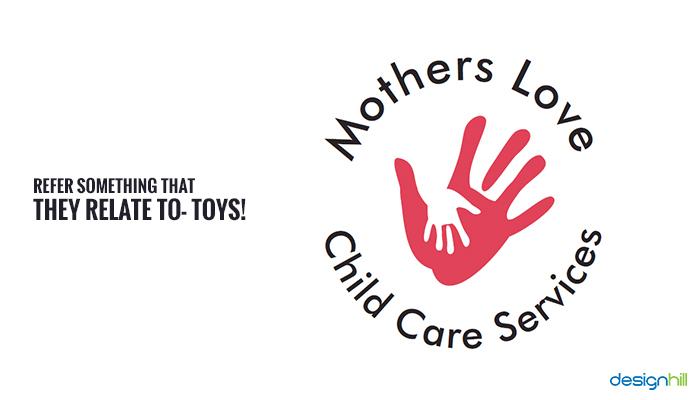 Looking for a childcare logo design? 02. Refer Something That They Relate To-Toys! 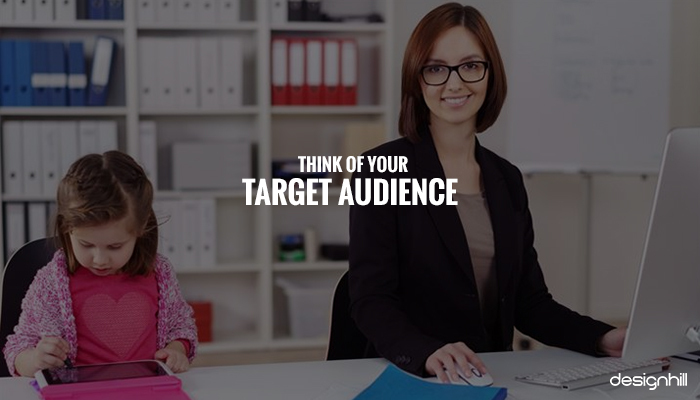 As your targeted audience is young, think of something that’s related to them. For example, toys. Infants love to spend their time with their favorite plaything. Over the period, they develop an attachment with that particular toy. So, we would suggest you write down a few toys’ names. Spend some time to create a list. If nothing pops out in your mind, take a look at these business names. There are many examples out there that you could think of! All it takes is a little research! Who would go to childcare? Of course, kids, toddlers, and infants. Hence, it would surely be helpful if you choose a name that speaks out “for children” loudly. Add adjectives such as little, tiny, cute, or any other words that will make your childcare business noticeable. Think of the possible variations that you can include in your brand’s name. Make sure the name you pick gives a clear picture of your philosophy. When it comes to childcare, parents pay extra attention. Therefore, go for something that provides parents with a clear view of your motive. For instance, Little Learning Childcare (a pre-school type childcare business). 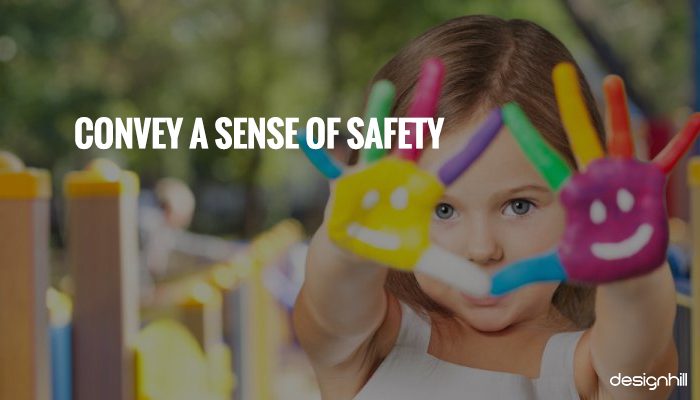 Kid’s safety is a primary concern for parents. Before sending their bundle of joys to any childcare, they would definitely like to be sure that the place is secured and there’s no threat to their kids. Consider including certain words like happy, safe, shelter, play and such other words in your business name. This helps in building trust. People want to ensure that their kid will be safe, will learn and have fun. Hence, a childcare name should convey this message. Not only name, when you design a logo, it should also communicate this point. Most of us are using the word “fun” while naming their businesses, which doesn’t necessarily mean that you should also follow the same path. Here, common sense plays a pivotal role in creating a brand identity that of course starts with the first step — choosing the right name. 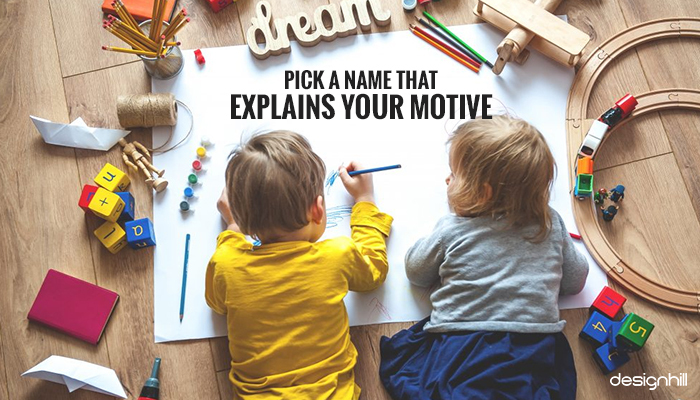 Stand out from the crowd by picking a unique name. Strike out the ones that have the common word used by others. Once you have finally chosen a unique name, create a logo that is attractive and looks well with the name. The options for childcare business name are endless. It’s not that challenging to come up with excellent names! But what if you’re confused between a few names? What if you don’t want to give up on those super cool names? Hmmm, that might put you in a dilemma. Don’t worry! Here is a quick solution. 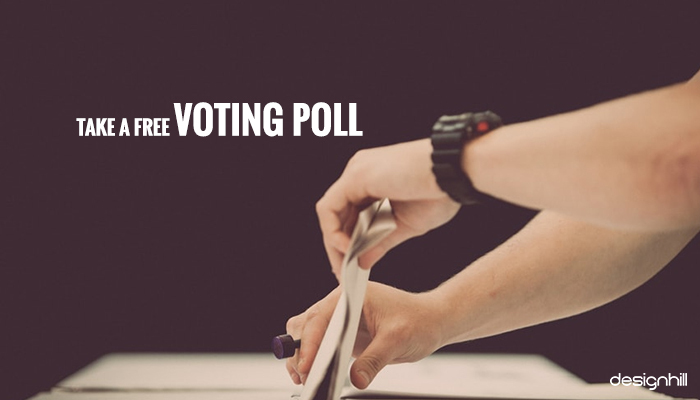 Take a free poll. You may find your potential clients on social media page of social channels like Facebook, Twitter, or Instagram. Launch a survey or take a poll. Choose the one that has got the majority of votes. Can’t decide between the two names? 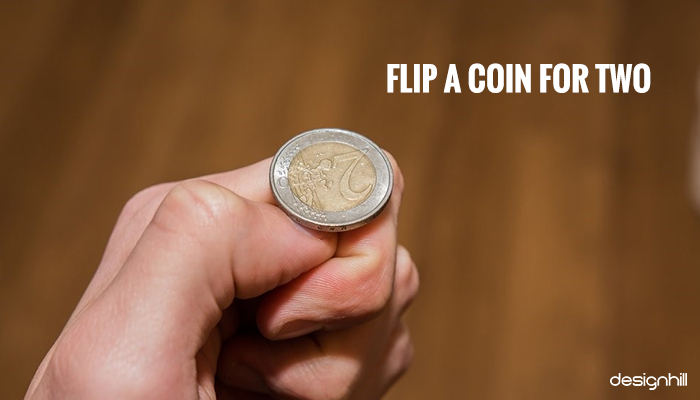 Take out a coin, flip it and choose. Even you can invite your friends and family members to have a decision between the two. It will make it a bit more interesting. Plus, you will also have other’s opinion. That, of course, matters a lot! Working-parents hardly get time to roam around their locality and find out a suitable childcare provider. Therefore, they would take the help of internet to come up with suggestions.In today’s day and age, it’s essential for businesses to have an online presence. You might have planned to provide online childcare services. 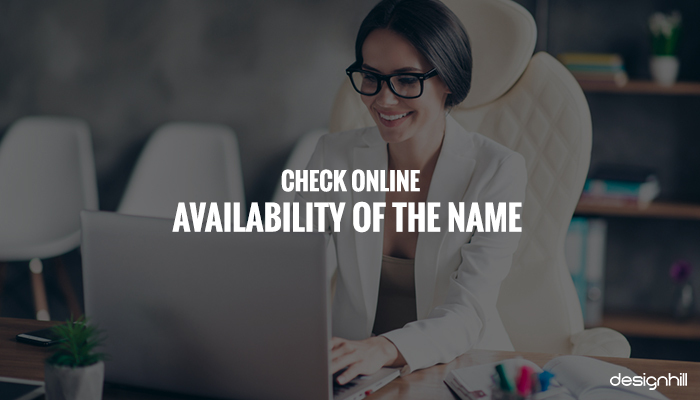 Check the name regarding domain availability.Various tools help you check business name availability. Go with the name if it’s available and book the domain. Later, you can focus on the way your web page design should look with the chosen name. Starting a childcare business, especially in the USA, requires a set of legal formalities to be followed beforehand. Many regulations may affect your business. 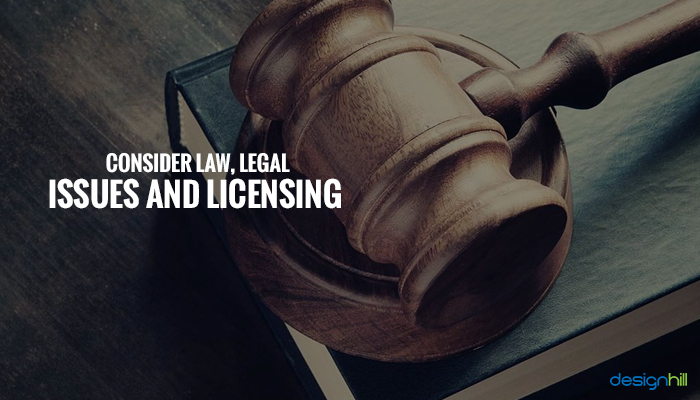 Legal considerations including getting licenses, choosing amenity-laced entity, ensuring health and safety, obtaining insurance, and hiring well-trained staffs. Violating any of the codes may lead to penalties and/or license suspension. Are you a visual thinker? Have a design in mind? Sometimes what it happens, we decide upon the name, but when we want to see it with a logo, it doesn’t look great at all. 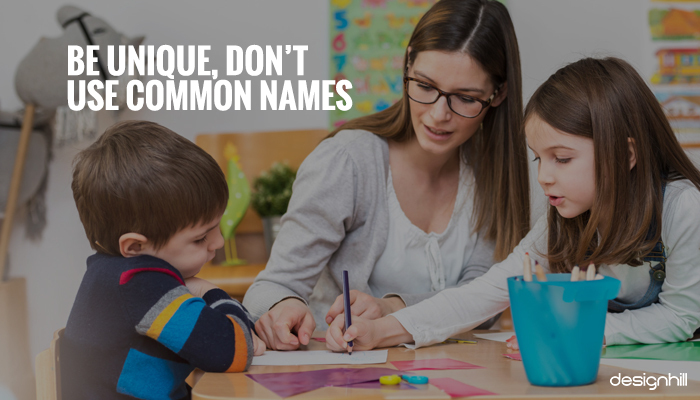 Choose a few like 4 or 5 childcare business name ideas and combine it with a logo. Check to see which name sounds better. You can take help from a freelance graphic design platform like Designhill for creating a stunning logo for your childcare business. There are tens of thousands of business logo design to choose from.You can even hire a professional graphic designer for unique web page design and graphic design services conveying your business objectives correctly. Are you happy with the name you picked? After all, it’s your thoughts that matter the most. You are going to own that name for long. Hence, find the business names that sound unique, good and meaningful to you. Take your time if nothing leaves an impression on your satisfaction radar. When choosing childcare business name, make sure that you know the audience well. Choose the name that is meaningful and represents care, safety, and fun. Create perfect logo design for a unique brand identity, highlighting your childcare services.